/21-jump-street-men-in-black-crossover-movie/Back in early December, the massive Sony hack attack emails revealed that the studio was planning to merge two of its most popular franchises, with the sequel 23 Jump Street to serve as a Men In Black crossover. Sony never officially acknowledged the idea, and we haven't heard anything else about it until today. According to 21 Jump Street and 22 Jump Street directors Phil Lord and Chris Miller, the idea is still very much on the table. Though, it hasn't been green lit just yet. "Nothing's changed. It's still a crazy idea, and we only do things that seem like they're going to be terrible. We're really focussing on what's a great story for Schmidt and Jenko and how to tell the next chapter in their lives. And perhaps use creatures from another world at the same time." "We're developing a lot of things, you know. And they may or may not all happen, but that's how the business works." What do you guys think? 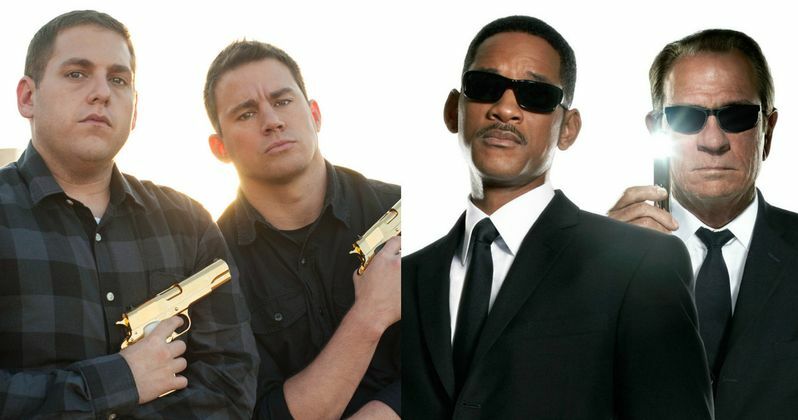 Should 23 Jump Street crossover with Men In Black, or should these two franchise remain on separate sides of the table?